Former President Obama wasn’t shy about ordering drone strikes – including a notable one that killed a fiery American cleric in Yemen who was accused of fomenting jihadist attacks – but his successor is ramping up the use of unmanned autonomous vehicles to attack America’s enemies. Micah Zenko of the Council on Foreign Relations recently calculated that Obama authorized 542 targeted drone strikes and special ops missions in 2,920 days -- an average of once every 5.4 days. In his first 74 days in office, President Trump has given the go-ahead at least 75 times, or about once a day. 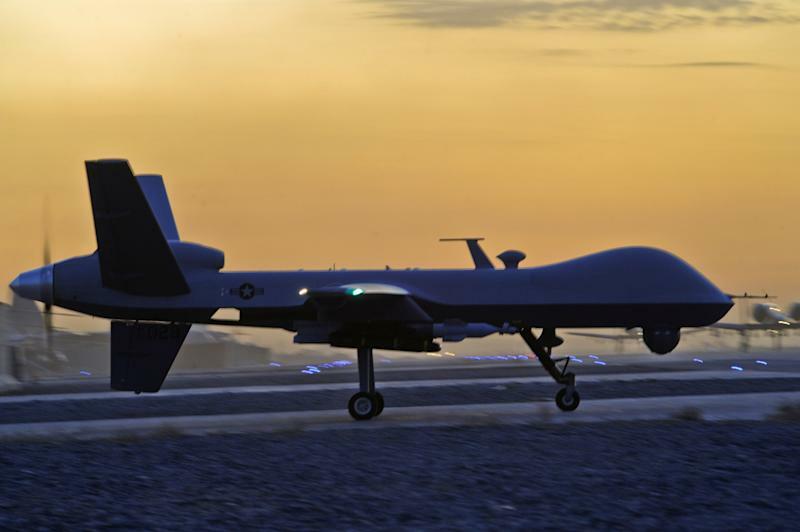 Now, as the Trump administration gives the military and the Central Intelligence Agency a freer hand to fight Islamic radicals on multiple fronts, and as air warfare increasingly comes to rely on remotely piloted aircraft, the frequency of drone strikes is likely headed higher. Overall, the pace of military operations appears to be increasing. Operations in Syria, Iraq, Yemen and Somalia have all been ratcheted up in recent weeks. The New York Times reported last week that in the month of March there were more U.S. air strikes against targets in Yemen than there were in all of 2016. However, Gen. Joseph Votel, chief of U.S. Central Command, told Congress on Mar. 29 that there have been no changes in the rules of engagement since the end of the Obama administration. At the same time, the Pentagon has become less forthcoming about troop levels. Recent deployments of 400 Marines to Syria and almost 300 82nd Airborne Division soldiers to Iraq were not announced, as had been the practice during the Obama administration. The increase in the pace of operations may come as a surprise to Trump supporters who had hoped the new admisntration would withdraw from costly foreign wars. “People who believed that Trump would be less interventionist than Obama are wrong, at least so far and at least when it comes to drone strikes,” Micah Zenko wrote. According to data compiled by Airwars -- a website that monitors allied coalition air strikes in Iraq, Syria and Libya but does not break out drone attacks – the number of monthly raids since the beginning of the year corresponds to peak periods during the Obama administration. What is different in the number of strikes in Syria: In November 2016, for example, Airwars recorded 351 allied strikes there; In February 2017, it counted 547.